I see you out in the world and you are quite ‘the thing’ now aren’t you? You are bandied about in corporate circles and trotted out for magazine articles and so you’ve become very fashionable of late and I wonder if you have time for me anymore, so I’ll put my own petty predispositions to one side and unashamedly reach out to you instead. If I think about what you are, I can chew up a dictionary and spew out a definition of you: Emotional resilience is having the ability and resources to adapt to difficult emotional situations or surprises. When you are emotionally resilient, you are more able to accept such situations and better able to adapt – rolling with the punches of life, rather than being knocked out by them. I like to think of myself as a strong person, but woman cannot live by thoughts and preferences alone. As an observer of mankind and myself – womankind – the kind of woman who watches and tries to lovingly learn; I have noticed how I am subject to the rhythms of my life. So I am deliberately putting some time aside to analyse the waves of those rhythms and to decide whether to swim, surf or take a boat across them. Frequently you, see, I seem to be drowning in them; so it is time to traverse, rather to tread water. What I wonder is going on with me that seems to weaken my resilience, and what steps can I take to consciously build it up again? So if I look at myself and where my life has taken me recently – there are both external and internal considerations. I made a big change to my work / life path around 9 months ago and I realise that I am still adjusting and balancing all the options around that. I am, I now realise, missing certain elements of that old life that filled me up emotionally and psychologically, and I want to redress the balance. The first part of that process is to be really sure of who I am and what I want to bring to the party of life. So here is my Soul Manifesto: I want to earn a good income, doing work that supports others and enervates and pushes me. I want to go beyond existing and paying bills – to a state of feeling fulfilled. That involves putting positive energy into my corporate work, my coaching and my writing. When I am clear about what I bring to each of these activities, then that clarity gives me a surety and strength in myself; and means then that I am not so desperately vested in the misaligned words, actions and opinions of the players and partners around me – all with their own agenda; but rather that I understand what these are, and so I dance with rather than deal with other’s demons – doing a do-si-do and a step to the side, rather than an intense one on one tango. And that demon / disadvantage or whatever you may call it is the menopause. I feel that I haven’t weathered it well. My hormones have raged and rampaged over my life for some years now and I feel like the layers of strength and learning that I have built up around my heart have been eroded away. It is as if my emotional resilience has been burnt out – has given up, along with my body, which has been fighting the transition with all the indecorous furore of a bull in a china shop. And I’m left, naked to my emotions and therefore open to the various blows that circumstance and psyche will inevitably rain on my heart. “You are sitting up, you are breathing – you are safe. Acknowledge the pain – accept it and that you are in it, for now. This too shall pass. See it for what it is and choose what you want from this. Choose to learn and if you feel that you are beyond choice, then ask yourself what you would choose if you could and ruminate on those thoughts – even disassociated choice will heal and change the psyche. Analyse and accept what has happened. Don’t fight it with recriminations, angry self-talk, and victimised surmises. The surmises that equate to you making up tales and stories – ‘but they did X / I always Y, oh why, oh why’ etc. )… This is just your mind creating tall tales, it is not your reality, so change the ending. 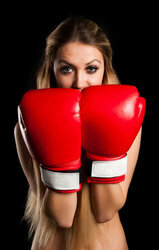 Fighting (in whatever form it takes) is always painful, so take off the boxing gloves. It is always tempting at times like these to drug the pain – with tablets, wine, television or whatever our real or psyched pharmacy of choice is. But instead of drugging – how about distracting instead? Take a walk, take a break; breath deep and a get a change of scene and perspective – even if that is just walking into the next room. And sometimes at this point I’ve seen myself and clients snap right out of it and of course, at others, it takes a little more energy to be able to get back on your feet. Firstly – consciously keeping the right company. Not just running to someone to moan and unload, but being part of a group/community where you give and take. Somewhere where you learn and teach. For some this family and friends, others combine this with being part of communities like Broadband Consciousness or Damsels in Success – any number of options are out there and available for you to explore. Secondly – keep up a routine of self-development practices. Read the right books (and given your situation, the choice of these will change); learn to meditate, and journal. Get a notebook and as a minimum – write out 10 things / reasons / situations / people every day to be grateful for. What can you be grateful for in those emotional punches..? This is training your brain to find positive thoughts and is ultimately building your resilience. These two practices become even better if you combine them with getting a deeper level of support from a coach or counsellor – work through your stuff – not just in times of crises, but as a matter of course / routine. Please don’t tell me that you cannot afford the time or financial investment that this will involve. There are many forms of support out there – from free to expensive. A lot of what you choose (including doing nothing) will depend upon your concept of value, but where ever there is a will, there is a way, so find the right resources to invest in yourself. A constant positive self-analysis along with supportive guidance, is a powerful combination. The external support means that you have a wealth of resources to draw on. The inner practices – that you can be more simultaneously wise and resilient, because you keep up a constant and conscious practice – meaning that you become humble enough to keep learning, and quiet enough to let the answers come to you, all in in their own good time. How you do all this is part of this process, you will inevitably experiment with what works best for you and don’t think that you will find one easy source for all this support. By varying what you do, you will strengthen what you do – as with most things in life – don’t put all your eggs in to one basket. So, my friend Resilience – of course in clichéd fashion, I find that you have been with me all along – I had just forgotten you, but knew secretly too that you were always there within me. And if I have been stripped back, and emotionally laid bare, then all to the good – it is time to build myself up again – to be better, and to be more. Always of course, with a little help from my (internal and external) friends. So now, my emotional vulnerability becomes my learning and of course my ultimate strength and turns back in to my emotional resilience. Thank you my friend, for all that you give me: the love, the learning and the strength to serve – myself and so too then, the world. Most of my posts on here on ‘Peachey Letters’ are formed out of fact. I write about what happens in my life and draw in personalities and scenes that I pass along the way. My books and blogs to date are based on my factual life stories, yet I inhabit a fictional, imaginary world too. Please note that this writing is copyrighted* and not to be used in any form, with out the author’s or her publisher’s permission. A night of humid closeness was followed by a clear, sunny day. What a long glorious day it was. Ariel was busily occupied – productive, secretive, yet still social with those around her, and through all this, she felt so content. It was a day composed of sunshine and freedom. She felt the summer shimmering in her veins and the warm energy of long light moving her effortlessly through all that she had do. Around her the adults smiled, soaking up her teenage joy and leaving her unattended to her ministrations, stopping her only to feed her and then letting her return to her happy, distant reverie. She danced around her tasks, and sang out her joy, celebrating this zenith day of summer time, passing onto, then flowing into, a profound and wakeful night once darkness finally fell. She climbed the curving stone stairs to bed, but instead of slow sleep, her body fizzed with relentless wakeful energy. The windows in her room had been left open to allow the summer air in and through them, suspended in the dark night sky, she saw a magnificent moon – clean, large and glowing with a light peachy luminescent tint. She would ask her father in the morning what this beautiful moon meant; yet for now she admired its landscape; for infinitesimally far away from it as she was, she could see the shades and swirls of darkness on its surface. She left the windows open and climbed up onto her high bed. 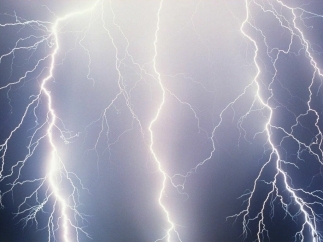 It was the kind of lightning you did not see as distinct strands of forked bolts, instead it lit up a vast, eternal sky with every fantastic flash, with the thunder threatening quietly, far away, in the unknown distance over someone else’s head. The curtains and windows were wide open as she watched the storm, whilst the darkened sky changed and flashed to an encompassing lightening, lighting up the circumference of her cosy world, whilst thunder, getting closer and louder, accompanied the light show – rumbling its deep music, rolling and grumbling its cymbal clashing harmony to the fireworks alternately turning the sky from dark to light and then landing back at night. Now, after her long sated day, she lay sleepily curled up on her side in bed. Her wings, hidden all day, were lazily unfurled and stretched out luxuriantly behind her. The storm was beyond human rationale, not something made by man, but loudly ethereal. It was present and solid, yet entirely unearthly. This was not a time for sleeping through the storm as she had when she was a small child, but instead to feel its unfettered and untethered magic, tempered too by her human feelings and fledgling flying experience. She felt so alive and happy, plugging her psyche into the lightening – feeling the magic of its’ electricity compounding her, and suddenly sitting up from her slow sleepiness, as a huge flash illuminated her whole world, making her gape at the light play and gasp in awe as the whole black sky was suddenly illuminated beyond the bounds of solar experience; and then, immediately, switched back to darkest blackness. There was yet another giant crash of unearthly light and sound, and now she was no longer remotely sleepy; instead Ariel sat up and beat her wings in strange swaths to the pleasingly odd staccato rhythms of the syncopated storm all around her. Then the rain started, hurling itself through the window and into her soft, safe sanctuary. Another flash of lightening dominated the sky and then she was aware of Mariel who had sweetly manifested and was standing at the foot of her bed, seen suddenly in the strobing light and now transmogrified and transpired at Ariel’s side. In the intermittent darkness Mariel was a black fallen angel with a dark halo, yet in the light of the luminescent bolts, she was an incandescent free form faery, glowing with rampant electricity, as she softly beat her wings. She held out her hand to Ariel. “It’s time to fly, sweet sylph” she said and the next Ariel knew, before thought or fear, they had taken off and sped through the wide flung windows – fleeing out into the sweet, stern storm. They raced to the place of lightening and chased and dodged the lingering illuminating bolts. Like tiny winged infants they shrieked their fearful joy at tricking and avoiding each deadly bolt dealt by the rain gods above; playing hide and seek with the waves of luminous light, chasing and swirling – round and round each other, and soaring around the storm lighting up the sky and their radiant wet, guffawing faces. Like butterflies they sought the brightness of the lightening waves, and then like moths in the blackness in between, they flew darkly towards the misty moon, guessing and giggling as to where the next strike of electric light, to evade, would be. They flew on humming winds, laughing and buffeted for hundreds of endless, gorgeous sky miles. Flying free without birds or other fearless feathered companions, instead just the two of them were in the sky; rain twins, swooping wildly on the wind and squawking their luminous delight at the majestically altered, deviating night. The canopy and panoply of the whole widened sky of the world was theirs and all theirs – alone. Shared only with the joyous beating rain, running off their waving wings in effortless rivulets and shed unseen, into the feckless darkness of plain night, in between the embracing scions of vibrant vision. Ariel had to rely on her winged guardian to map and negotiate this altered world. She would be lost without Mariel, since she could not know where on earth she was, rushing and flapping over an unrecognisable landscape – one moment crafted swiftly into form with light, only to be dashed back to darkness. Mariel was still teaching her the skills of aerial navigation, but not tonight. Tonight was formed for fun, for blessed release, for divine, rib aching laughter and for airy earth bound escape, both of them realising their ethereal forms in the secrets of the storm. They had flowed through a dying day which had now streamed into sweet early morning hours, as the storm weakened, then fled in the face of the new, promised dawn. And suddenly there Ariel was, sitting on her bed alone, in the still darkness before dawn; her wings drily folded, formed against her back; turning her head back to the window with wonder. Did all this really happen? She tested her senses and felt the enervation of flying freedom in her aching muscles and the delicious tired feel of her flown out wings. She would preen them back to pristine flatness in the tame morning to come. For now she just closed the windows to and smiled into the remaining darkness. She was now a storm rider! What a delicious secret. And sleep would soon claim her tired and sated body, saturated with the pleasure of a storm now sweetly passed. In the new next morning, she awoke slowly and stretched. Her head was light with a combination of tiredness and heavy dreamless sleep. She put on her night gown and slowly wondered downstairs in her bare feet. She knew that such loose behaviour was not approved of in this household; yet happily, for once, she didn’t care. She reached the kitchen and was still alone. The table was set, in her place, with her breakfast – a cold sausage (thickly breaded and toasted) sandwich, and tepid tea – sitting in its pot under the patchwork cosy waiting for her. All was silent, apart from the insistent, rhythmic tick of the mantel clock, telling her too, that she had slept in and over shot their usual breakfast time by several hours. After a night of hungry flight, gladly she wolfed down the delicious rations. The sausages were glossy, plump and beautifully burnt. The cold toast that surrounded them crunched and snapped so loudly in her head, that she was smilingly reminded of last nights’ thunder which surrounded her in the past dark, and was now beating inside, in her brightening brain. Replete with tea, sausage and toast, she wandered out through the open back door to test the day and the temper of anyone who saw her in her crumpled night wear. Out in the outside, she joined Agatha, the tabby cat, sunning her furry body and then worming and squirming her pleasure at seeing that Ariel was now sharing her space. The firmament above them was a blend of blue and grey, with fat, fluffy clouds spread over an elegant, brightly lit sky. Despite the lashing rain of last night, the stone flags beneath her feet were dry and warm, heated through already by the intermittent bright sunshine. She knelt down to scratch and rub the happy cat, who chirruped her delight and approbation in return, snaking closer and rolling over so that Ariel could fuss her from all bodily angles. Still they were alone, Ariel and the cat. But somehow the silence of the late morning was loud. It was as if all the adults knew everything (about her night), but were saying nothing. They had left Ariel to her flying destiny and a solitary breakfast. They had allowed her fleeting night time freedom and let her ride the storm with Mariel, (whom they had probably never met) without question or judgement. Knowing now that no one would disturb her, she dropped her dressing gown to the ground and spread her feathers, stretching, preening and ministering to her wonderful wings in the strengthening sunlight of the lengthening day. The cat licked and soothed her own fur in companionable, lick-y silence. When Ariel’s wings were flattened and stroked into perfect shape, she folded them back in to her body, put her dressing gown on and walked heavily back through the kitchen, across the dark hall and up the stone stairs to the beautiful old fashioned, porcelain bathroom. She tried the taps and found that there was plenty of hot water, which she ran, without permission, into the vast roll top bath. She stepped in, sloshing and slipping pleasurably in the steaming water, which fogged her senses, washing away the last traces of tiredness from her body. Then she reached up to the cold glass shelf to grab and add the unction of fragrant bath salts, to ease the mild, pleasing aches in her shoulders and wings, and to chase away the final bodily vestiges of an extraordinary night, to face the easy tasks of another solid, steady day. All rights reserved. No part of this post may be reproduced, distributed, or transmitted in any form or by any means, including photocopying, recording, or other electronic or mechanical methods, without the prior written permission of the author or her publisher. For permission requests, fill out an online contact request or email: publishing@panomapress.com.